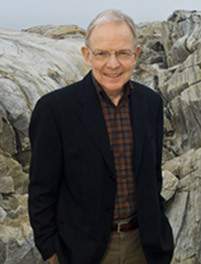 David W. Moore is a two-time EPPY Award winner – in 2015 and 2016 – for his commentary on iMediaEthics. He is also a Policy Fellow with the Carsey School of Public Policy at the University of New Hampshire, and a former Vice President of the Gallup Organization, where he was a senior editor with the Gallup Poll for thirteen years. He is author of The Opinion Makers: An Insider Exposes the Truth Behind the Polls (Beacon, 2008; trade paperback edition, 2009). Publishers’ Weekly refers to it as a “succinct and damning critique…Keen and witty throughout.” He is also co-author of The First Primary: New Hampshire’s Outsize Role in Presidential Nominations (University Press of New England, 2016).